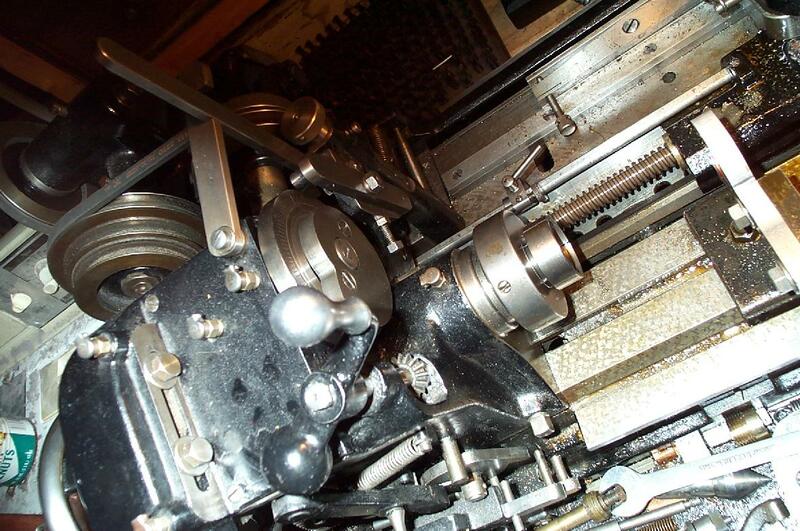 Being a high-class, specialist engineering company, Waltham were able to offer both regular production machine tools and a variety of specialised and one-off machines for production and individual use; over the years these products included examples of: automatic pinion cutters (illustrated below), automatic inside grinding machines, flat steel grinding machines, cutter-turning and backing off machines, clutch-cutting machines, multiple-spindle drills, escape-wheel cutting machines, automatic staff-turning machines, automatic gear-cutting machines, special and adapted bench lathes, automatic vertical recessing machine, automatic pinion cutting machines and a thread milling lathe - an example of the latter being discovered near the author's home in England during 2002. 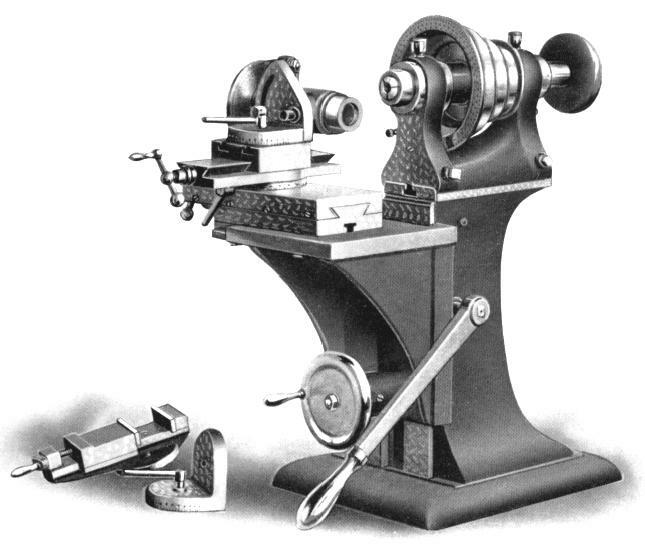 Separate publicity sheets were prepared by the company for each item in their specialist range and if any reader has copies, the writer would be very pleased to hear from you. 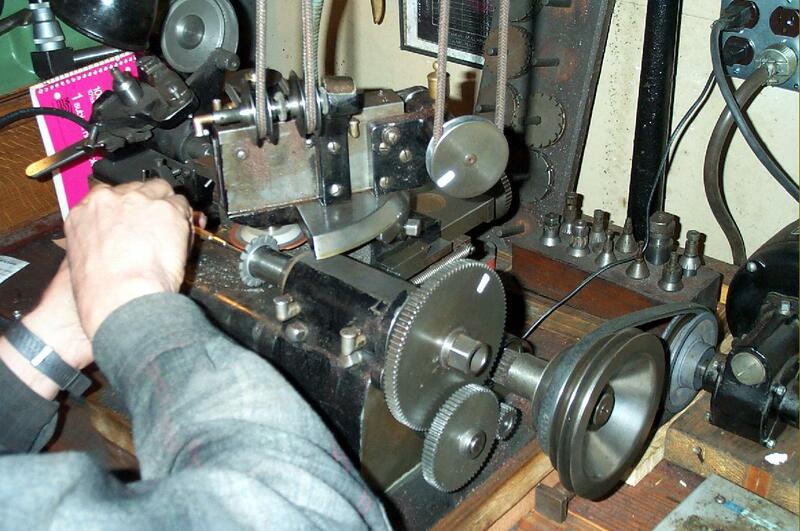 A much later Bechler pinion cutter can be seen working here. 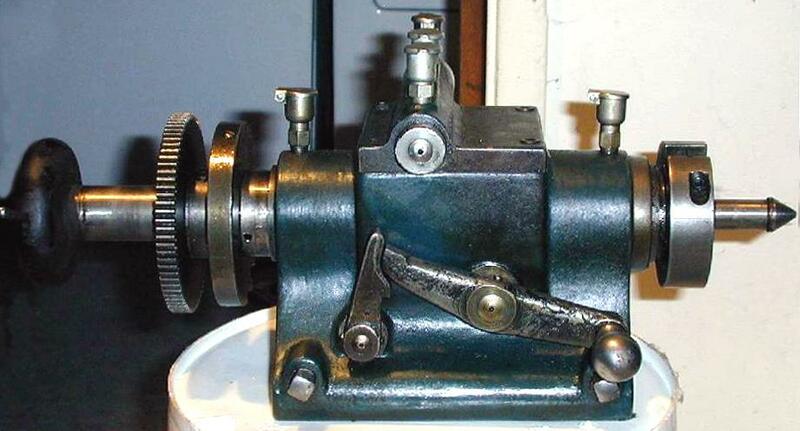 Although a more complex device, with a number of advanced features, the principle of operation is identical to that employed by the Waltham. 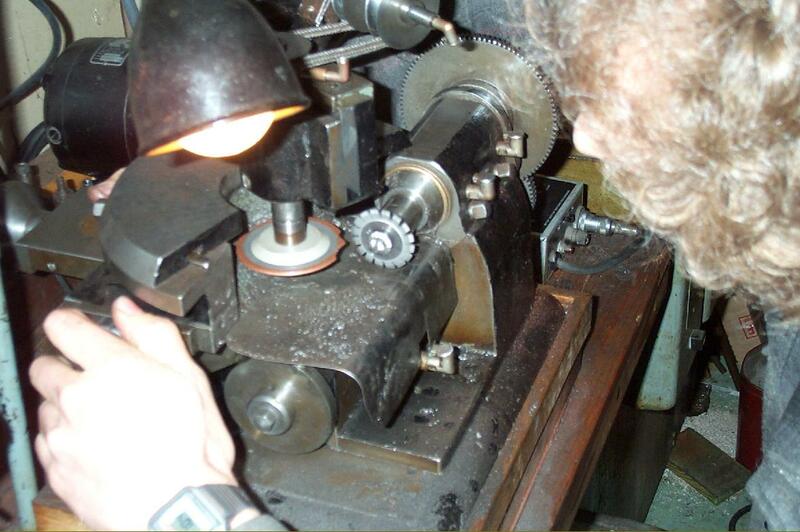 Wheel die in sub press. 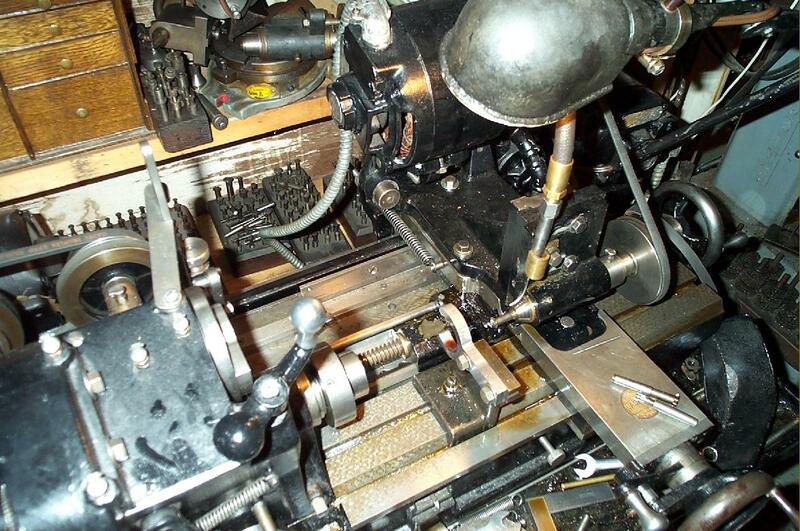 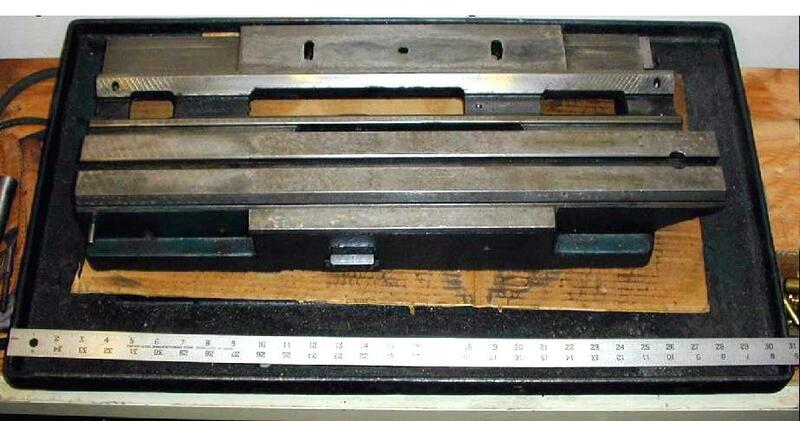 These presses were a Waltham speciality and made up a good deal of the company's bread-and-butter work. 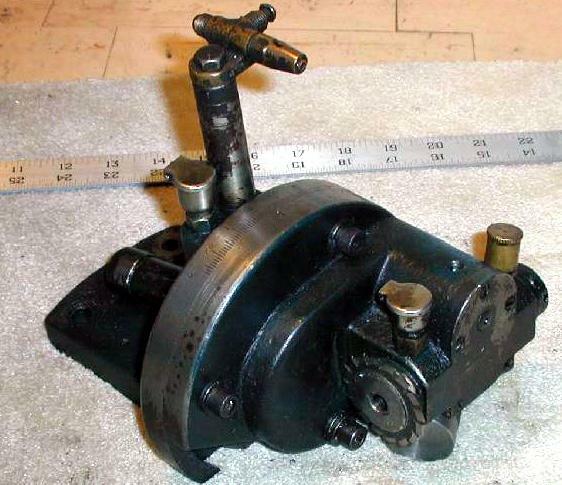 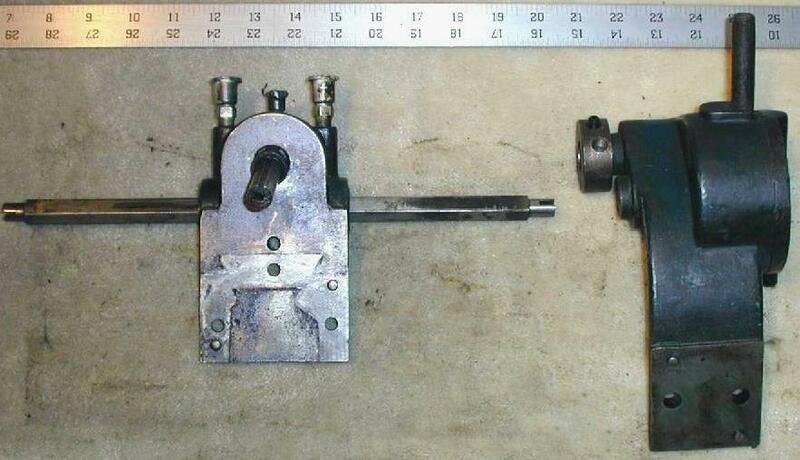 This "milling stand", as the Waltham Machine Tool Works called it, utilised not only the headstock but also the compound slide rest of their precision bench lathe. 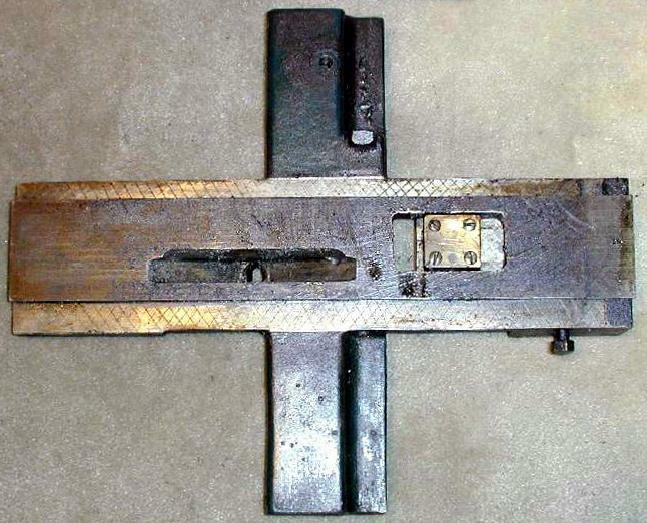 The knee could be fitted with either quick-action lever or screw-operated feed. 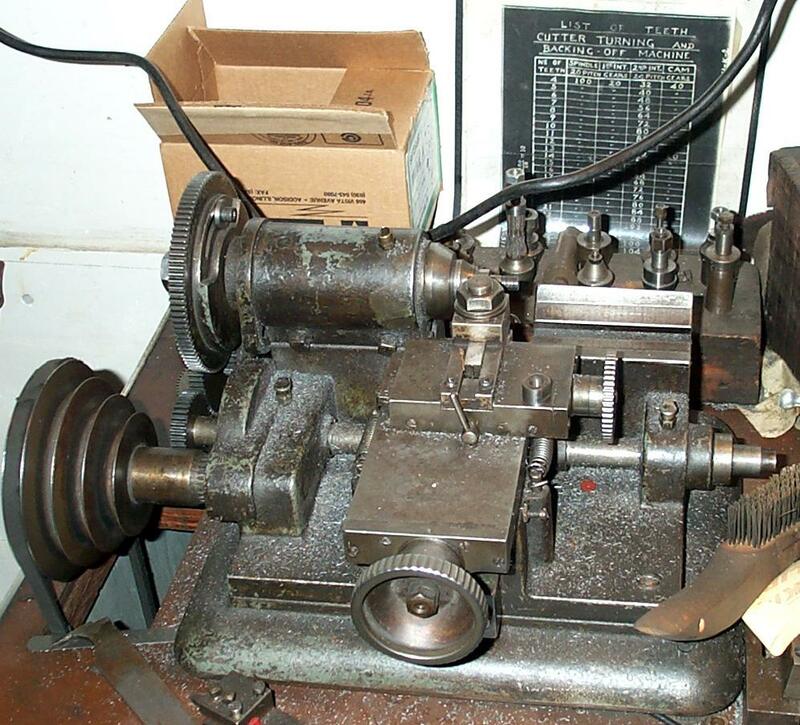 It was designed as a very high-quality, precision machine tool on lines very similar to those of Pratt & Whitney, Waltham, Rivett and Cataract - where the head from one of their Bench Precision Lathes was employed in a similar manner.